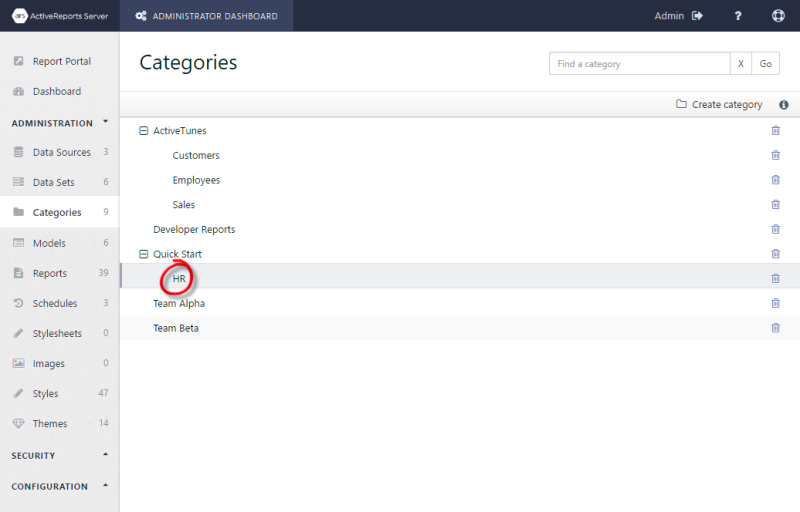 We use the Reports list to set report permissions and categories. 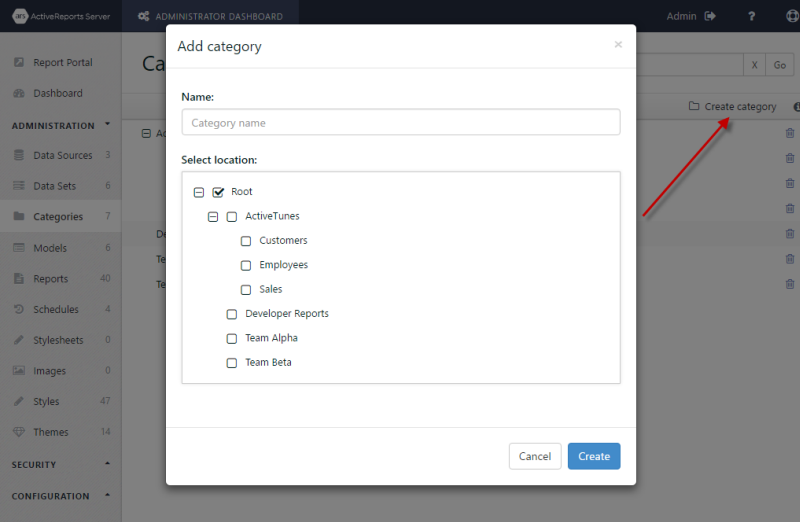 But before we can set categories, we need to create them. We'll start by creating a "Quick Start" category under the root category. Then we'll create a sub-category called "HR" where we will place the Employee Directory report. 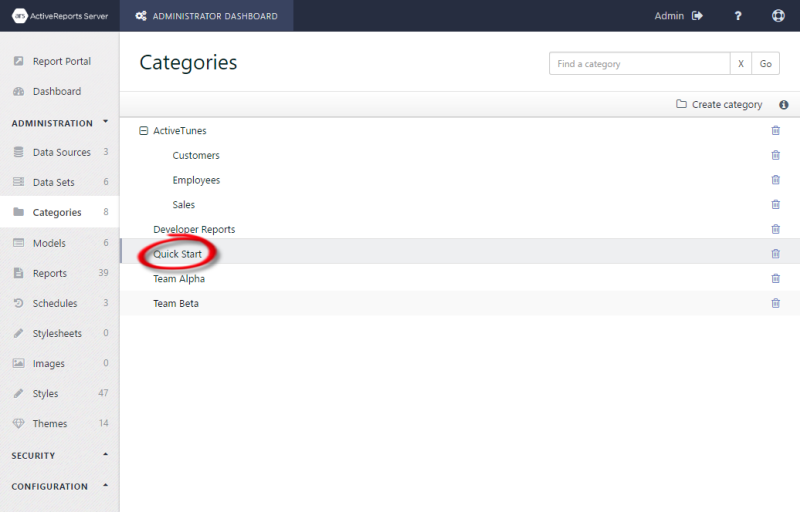 From the Administration section of the left menu, select Categories to display the Categories list, and click the Create category button. In the Add category dialog that appears, for the Name, enter "Quick Start." 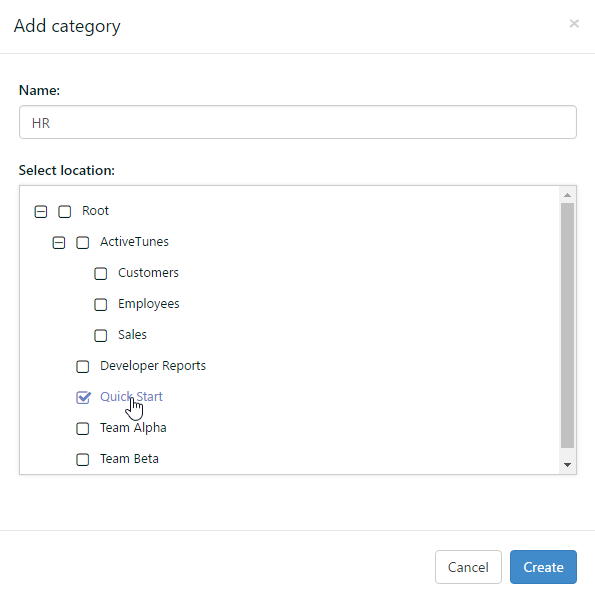 Ensure that the selected location is "Root" and click OK. The Quick Start category appears in the list like this.